John Dudgeon graduated MD CM from the University in 1862, and served as a medical missionary to China. 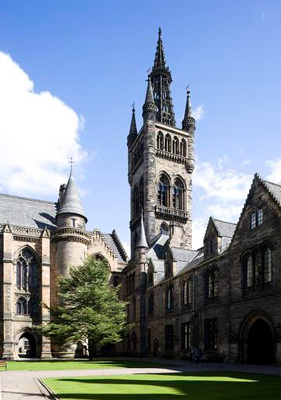 Dudgeon studied courses at the University of Edinburgh and the University of Glasgow, from where he graduated in 1862. He served as a medical missionary of the London Missionary Society at Peking, modern-day Beijing, from 1863. From 1864-68, Dudgeon also served as a physician, and later consulting surgeon, to Her Britannic Majesty's Legation to Peking. He was later appointed Lecturer of Anatomy and Physiology at the Imperial College there. As a medical scholar, Dudgeon contributed significantly to both Chinese and Western medicine during the 19th century, editing volumes in Chinese of the Chinese Medical Dictionary and contributing articles to the Chinese Medical Journal. As a Chinese scholar, he also authored several works in English and Chinese, including Historical Sketch of the Ecclesiastical, Political, and Commercial Relation of Russia with China, and On the Principles and Practice of Photography. Despite his resignation from the London Missionary Society in 1884, Dudgeon continued to practice privately in Peking until his death in 1901.